However it is not for the siblings which you would expect. Yes, we have adopted one of Opie's sisters! On Tuesday the remaining puppies got the all clear from the vet. On Thursday I took Opie for a visit to see how they would get on. We have now had Opie for four weeks. That is four weeks that she has been away from other dogs so understandably she was very wary of Jax who was full of beans and so excited to see Opie. However Opie soon stood up for herself and the rough and tumble playing began. They were having so much fun, it was lovely to see them playing. Jax still seems quite nervous and wants a lot of love, which we can and will give her. It is amazing how far Opie has come on in the four weeks that we have had her and we look forward to seeing Jax going in the same direction. I am sure she will settle in quickly. 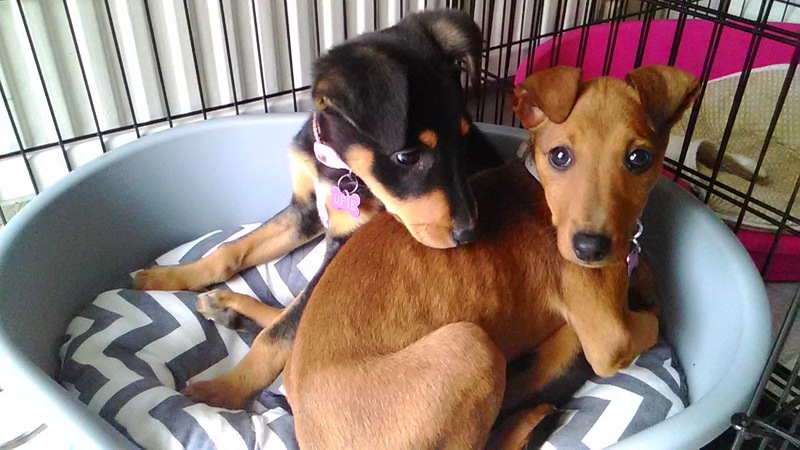 We adopted Opie and Jax from RSPCA Bawtry the staff do a fantastic job with all of the animals there. There are still two of Opie and Jax siblings waiting for a loving home which we hope they find soon. So if you are in the area and looking for a dog I would sincerely recommend a visit!